A poignant, romantic, and delightful new novel about a young woman who refuses to believe happy endings are real, from internationally bestselling author Harriet Evans, who perfectly captures the complex lives of young twenty-first-century career women with an “effortlessly readable...comic style and loveable characters” (Marie Claire, UK). At twenty-two, Eleanor Bee is sure about three things: she wants to move to London and become a literary superstar; she wants to be able to afford to buy a coffee and croissant every morning; and after seeing what divorce did to her parents—especially her mum—she doesn’t believe in happy endings. Elle moves to London. She gets a job at Bluebird Books, a charmingly old-fashioned publisher. She falls out of bars, wears too-short skirts, makes lots of mistakes, and feels like she’s learning nothing and everything at the same time. And then, out of the blue, she falls in love, and that’s when she realizes just how much growing up she has to do. This reading group guide for Happily Ever After includes an introduction, discussion questions, and ideas for enhancing your book club. The suggested questions are intended to help your reading group find new and interesting angles and topics for your discussion. We hope that these ideas will enrich your conversation and increase your enjoyment of the book. 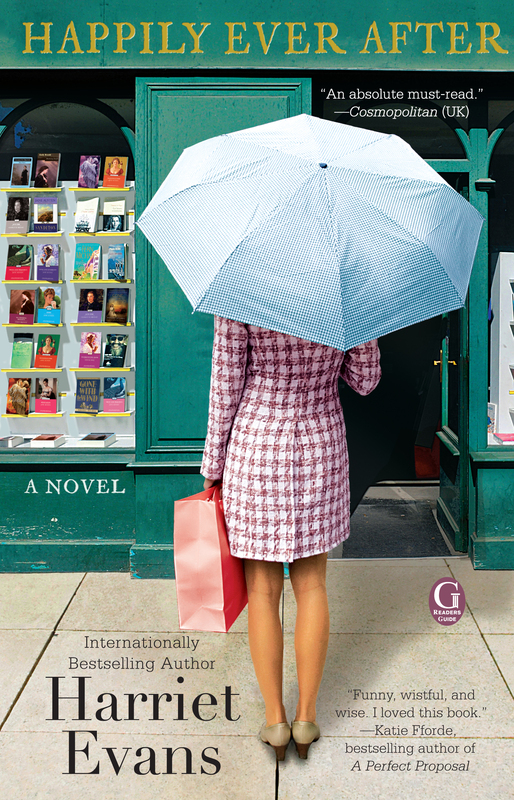 At twenty-two, Eleanor Bee is sure about three things: she wants to move to London to become a literary superstar, she wants to be able to afford to buy a coffee and croissant every morning, and she doesn’t believe in happy endings. She saw what divorce did to her parents, especially her mother. “Happily ever after” is fine on the last page of a book, but it just doesn’t happen in real life. Elle moves to London. She gets a job at Bluebird Books, a charmingly old-fashioned publisher. She falls out of pubs, wears too-short skirts, makes a lot of mistakes, and feels like she’s going nowhere. And then, out of the blue, she falls in love. That’s when she realizes just how much growing up she has to do. Ten years later, Elle’s life has changed in ways she could never have predicted. Because no matter where you go and how much you try to run away, the past has a funny way of catching up with you, and “happily ever after” can come in all shapes and sizes. 1. Happily Ever After begins with a Jane Austen quote. Why do you think Harriet Evans selected this quote? How does the quote set the tone for this novel? 2. What did you learn about Elle in the 1988 prologue? Did seeing her as a child help you understand her and her relationships with her family members as a young adult? 3. Elle has failed at an important job interview. She’s living on a friend’s couch, and her prospects look bleak. Just when she’s about to give up, she accidentally finds an advertisement for the perfect job mis-posted in the newspaper’s vacation section. Why do you think the author had Elle notice a misplaced ad? What effect does this have on Elle and on what follows? 4. Elle’s meeting with the great Felicity Sassoon (starting on page 58) is a success. But readers later learn that it had an unexpected result. Why did Rory react the way he did? How would you have responded if you were in Elle’s shoes? 5. On page 66, Elle’s brother, Rhodes, now living in the United States, visits her. How has their relationship changed since childhood? How is it the same? Does their relationship remind you of any in your own life? 6. Several bits of news are revealed during Elle’s family meeting starting on page 95. Which is the most shocking to Elle? Which one surprised you the most? Discuss your impressions of this meeting and its effect on Elle and her family members. 7. What troubles Elle the most about her relationship with Rory? Did you find that you could relate to Elle? If so, in what ways? Would you have made the same choices in dealing with Rory? Why or why not? 8. Elle must simultaneously deal with the drama of her family, her workplace, and her romantic relationships. Did any one of these intermingled aspects of her life intrigue you more than another? Explain which facet of her life you found most interesting. 9. Elle becomes obsessed with the writing of Georgette Heyer. Have you read any of her books? What overlapping themes do you see between her stories and Elle’s story? 10. A number of books mentioned throughout the novel show women finding independence on their own. The author references Forever Amber, I Capture the Castle, Jane Eyre, The Best of Everything, and Bridget Jones’s Diary. What other books cover similar ground? What other overarching themes do you see throughout these books? 11. Elle seems to find a new version of herself in New York. Why do you think this is so? What does Elle find in New York? What does she give up? 12. Throughout Happily Ever After, Rhodes’s wife, Melissa, is viewed with suspicion. Starting on pages 305, when Melissa finally confesses why the big wedding was canceled, readers also learn more about Melissa’s relationship with Elle’s mother. How did Elle’s view of Melissa change? Did your perspective of Melissa also change? If so, how? 13. What do you think prompted Elle to sleep with Tom after years of restraint? If things had turned out differently with Elle’s mother, do you think things may have been different between Elle and Tom? Why or why not? 14. By September 2008, we see Elle engaged to an American writer in New York City—someone we’ve not met before. What do you think attracted her to him? What, ultimately, pulled her away from him? 15. At the end of the novel, Elle, Rhodes, their father, Melissa, and Elle’s new fiancé, Gray, have dinner together. This seems to be the first time the family’s “dirt” is openly displayed and discussed. What do you think each member of the family took away from the dinner? 16. Throughout this book, there are lots of references to the chick-lit genre and fairy tales, including the title itself. Why do you think the author chose to include so many? What would you say is the relationship between chick-lit and fairy tales? Do you think that chick-lit could be considered fairy tales for adults? 1. 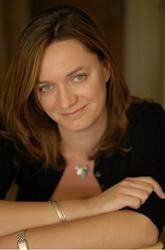 To learn more about Harriet Evans and her previous novels, visit her website at www.harriet-evans.com. Browse Harriet’s “Favorite Things,” follow her blog, and be sure to read her biography to find out more about her own background in publishing. Do you see any connections between the author’s real life and the themes of Happily Ever After? Discuss what you discovered about Harriet Evans with your book club members. 2. Early in the novel, Felicity recommends a book to Elle. More than a decade later, Elle brings it up and thanks Felicity. “Isn’t that why one lends a good book?” Felicity asks. “Isn’t it wonderful to know you’ve passed something good on?” Think about the books you’ve most loved, the ones that have stayed with you over the years. Talk about your favorite books with your discussion group. Have everyone in your group offer their own recommendation to pass “something good” on. 3. Elle’s version of “happily ever after” focuses on her relationship, employment, location, and proximity to family. What is your own version of “happily ever after”? How can you work to make it become a reality? Discuss what it means to be happy. Did you learn anything from your fellow book club members? Harriet Evans is the internationally bestselling author of Going Home, A Hopeless Romantic, The Love of Her Life, I Remember You, Love Always, Happily Ever After, Not Without You, A Place for Us, The Butterfly Summer, The Wildflowers. She lives in London. Visit her website at Harriet-Evans.com. A wonderful book to curl up with on a chilly night.